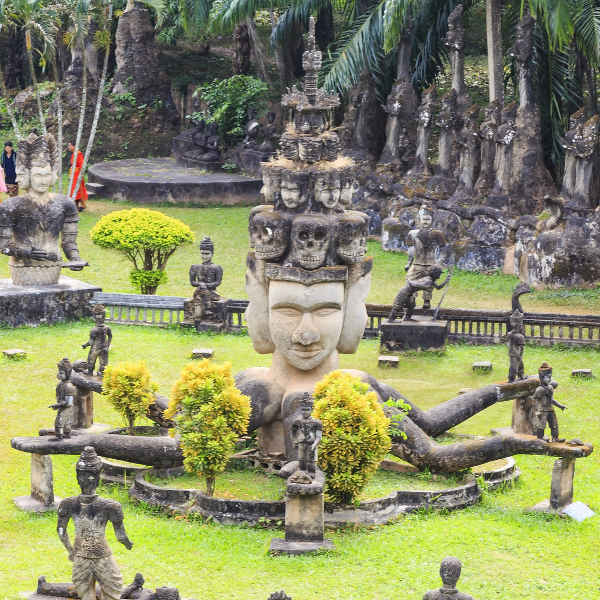 Laos is an overlooked destination, landlocked between its five Southeast Asian neighbours. Laos is bouncing back from its war-torn past and is the perfect place for the curious traveller. Populated by nearly 7 million people, Laos’ culture and humility are its distinguishing features. Attractions include Luang Prabang, Pha That Luang (Vientiane), Plain of Jars (Central Laos), and Kuang Si Falls. Be enraptured in the captivating and colourful charm of Indochina because cheap flights to Laos are now available! The country’s hub airport, Wattay International Airport (VTE), is located in the capital, Vientiane, and is a 25-minute drive from the city centre. Aside from Luang Prabang being an acclaimed UNESCO World Heritage Site, Laos is peppered with ruins and temples spanning ancient dynasties. The stupa of Pha That Luang is a national symbol of Laos’ Buddhist roots. Lao is a melting-pot of 49 different ethnic groups and, despite their horrific past, the Laotian people radiate a genuine friendliness. Brimming with traditional art and music, Laos’ festivals will immerse you in its spirituality. Uncover nature’s gems by trekking the mountain trails of northern Laos. Take in the incredible scenery, while kayaking, tubing and rock climbing your way through the limestone formations and along the Mekong River. Depending on your activities, Laos is best visited between October and April, when the warm, dry weather is at its best. Cruises along the Mekong River are ideal between November and January when water levels are higher. Be prepared for chilly evenings. April sees a rise in temperatures, where both the lowlands and highlands experience hot and humid conditions. If you suffer from allergies, be aware of hazy March up north, particularly in Luang Prabang, when famers burn their harvests, covering the city in clouds of smoke. It can be difficult to navigate your way through Laos during the rainy monsoon season (May-September), when roads become flooded and muddy. If you plan to explore the northern regions of Phongsali and Hua Phan, be prepared for unpredictable weather – a blistering heatwave can be followed by a cold, rainy day at any point! 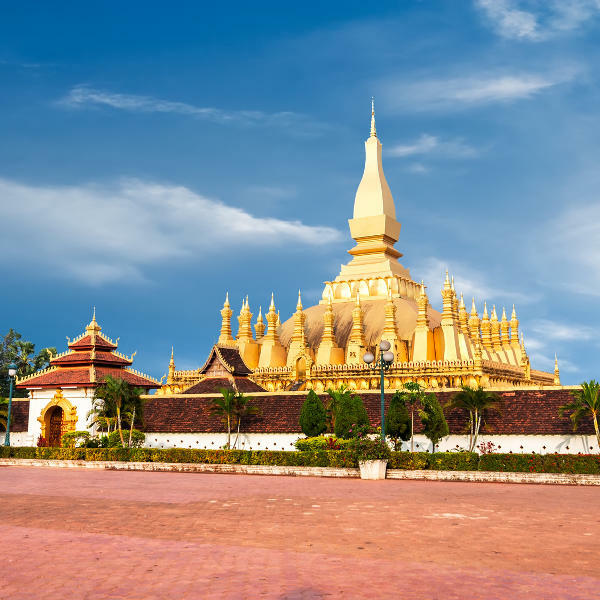 Laos is a tapestry of cultures, and some not-to-be-missed festivals include Buon Pimai (Laos New Year) in mid-April, and the Buddhist Buon Bang Fai (Rocket Festival) featuring explosive parades and dances, taking place in May. For cheap flights to Laos, visit between April-June and September-October. Laos is a country of beguiling charm and unwavering fascination. Having being isolated from the rest of the world as a result of the Indochina wars (1954-1989), Laos’ appeal is in fact its reticent old-fashioned way of life, where the genuine friendliness and curiosity of its people are distinctly intriguing. Laos’ diversity shines through its colourfully-dressed ethnic villagers and Buddhist monasteries in the mountainous lowlands, while the cities have absorbed much of the French influences from its colonial past. Wander through the streets of the capital, Vientiane, where you can pick up a freshly-baked croissant as you stroll through the morning markets and old shophouses. Must-see attractions in and around this city include Wat Sisaket (the oldest temple), Pha That Luang and a day trip to “Buddha Park”. Those in search of the infamous tubing experience can venture down to Vang Vieng for some bar-hopping along the river, en route to Luang Prabang. Set amongst a scenic wonderland, this is the perfect spot for hiking, caving and kayaking. 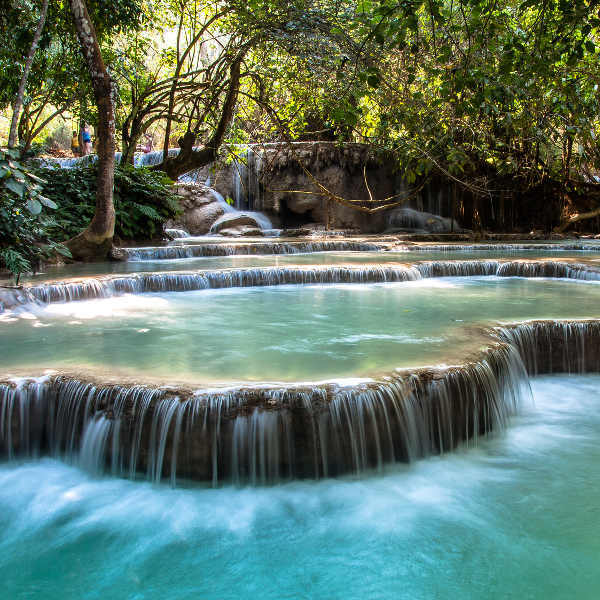 Luang Prabang holds the key to Laos’ ancient mystique and allure. Picture saffron-robed monks, ornate golden temples and longtail boats cruising down the Mekong. Steeped in history, the old city is home to the Royal Palace Museum and Wat Xieng Thong. The Pak Ou Caves and Kuang Si waterfalls are majestic in their own right. Venturing away from the cities, into the forest-clad mountainside south of the Mekong River, the vast scenery and remoteness you’ll come to experience will make you feel like you’re discovering untouched territory. The far south is where you can explore the Bolaven Plateau, with its plunging waterfalls and ancient Khmer temples scattered across the forests. Don’t miss the megalithic, archaeological landscape dating back to the Iron Age, known as the Plain of Jars, scattered along the foothills in Phonsavan. For those in the know, a herbal sauna is the ultimate Laotian detox. Compare several airlines, and book your cheap flights to Laos today! Laos is a relatively safe country and the locals are very hospitable. Nonetheless, as in any foreign country, be aware of pick-pockets, scam artists and don’t carry unnecessary cash and valuables on you. Never leave luggage unattended. Always carry some form of ID in case you get stopped by the local police (which is rare). If you’re up for hiring a scooter, always wear a helmet. Traffic is hazardous and driving around is not for the faint-hearted. A comprehensive travel-insurance policy to cover theft and medical expenses is always recommended. Travellers to Laos are strongly advised to take medication for malaria and Dengue fever. Immunizations against hepatitis A and B are highly recommended due to possible contact with contaminated food and water. Pharmacies are generally well-stocked (mostly with Thai products) but be sure to pack in a few essentials like mosquito repellent and sunscreen. Tap water is not safe to drink – stick to bottled water and avoid eating uncooked food. Laos’ strict law enforcement prohibits drug possession and engaging in prostitution – if caught, be prepared to face harsh penalties. When trekking, do not wander off the trails, as the area is still littered with undetonated landmines and explosives. Avoid taking photographs of military installations and airports – if you’re not sure, check with an official or tour guide.